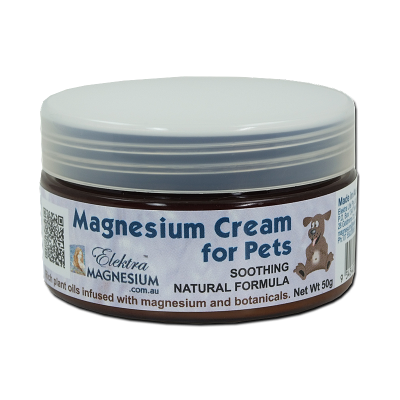 Magnesium Pet Cream 50g Jar particularly dogs or horses with itchy skin irritations or sand fly bites etc. Use a small amount on the afflicted area as required from time to time. The area may develop a fur reduction because of the constant scratching. It may tingle or even sting a little, however this is a temporary effect as magnesium has a stimulating effect. After absorption it calms down the inflammation and itch. The natural oils provide a protective, soothing and moisturising effect. Avoid application to broken skin, but rather apply to surrounding area. Ingredients: Blend of natural plant butters and oils infused with magnesium (similar to Elektra Magnesium Cream (herbal), but with extra neem oil). There are no parabens, animal products or petrochemical ingredients. 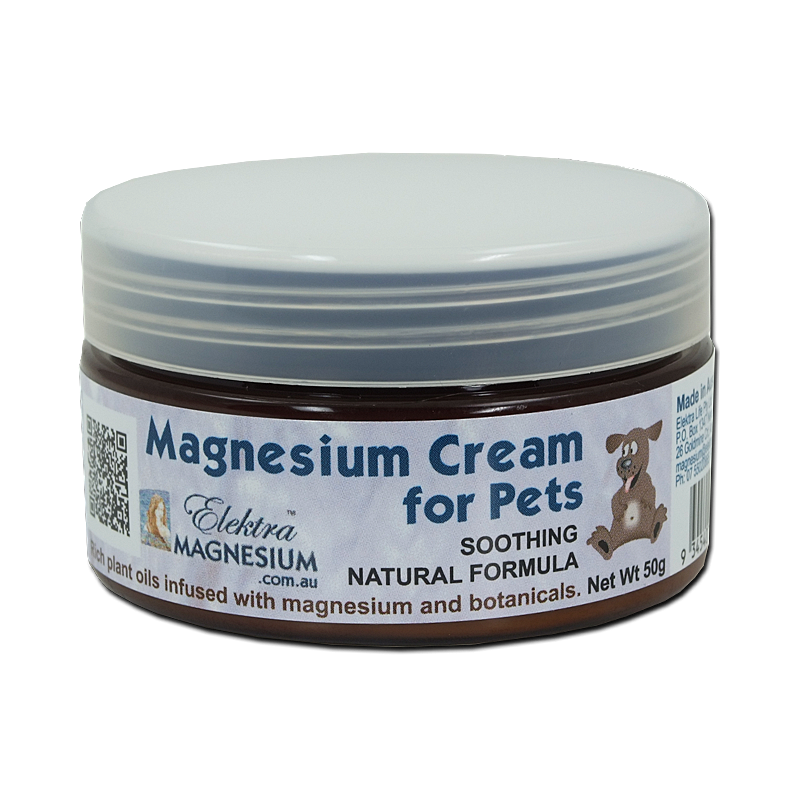 Magnesium Pet Cream 50g Jar.